NEW SMXir Display, 3/4 Door, in White. Control for Cruisair's Self-Contained and Split A/C (aka DX or direct expansion) systems. *Remote control available; sold separately. SMXir Display, 3/4 Door, in White. Control for Cruisair's Self-Contained and Split A/C (aka DX or direct expansion) systems. *Remote control available; sold separately. The SMXir keypad/display has an attractive, compact housing with easy surface-mount installation. A large, easy-to-read LED shows cabin temperature, set point, programming prompts, and fault code warnings, and small LEDs and backlit text indicate system status. Under a decorative hinged door is the familiar SMX 10-button arrangement with clearly labeled keys for single-keystroke operation. 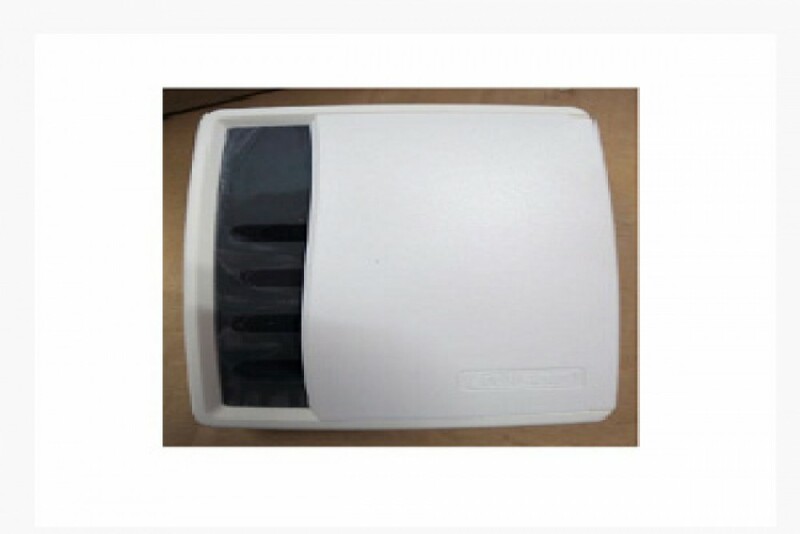 An optional infrared remote control is available that allows system adjustments to be made remotely. Specifically designed for the marine environment, the SMXir features a plastic housing, sealed membrane keypad, and electronics with anticorrosion coating. Housings are available in black or white, and with either a 3/4 or full coverage door. The SMXir keypad/display can be used with either SMX II or SMX Net control systems. A complete system consists of a power/logic module (either SMX II or SMX Net), an SMXir keypad/display, CXP connecting cable and a TSEP temperature sensor. Additional components will be needed to network multiple SMX Net units, including: CNP network cables, one TSEP outside temperature sensor, and the optional SMXir Convenience Panel (the convenience panel kit includes a SMXir keypad/display connected to a SMXir Convenience Panel).